Wash the beets and wrap them in tinfoil, then add to a medium grill. Depending on the size of your beets, they can take anywhere between 20 minutes and an hour to cook through. Test regularly with a knife to see if slides in to the centre easily. 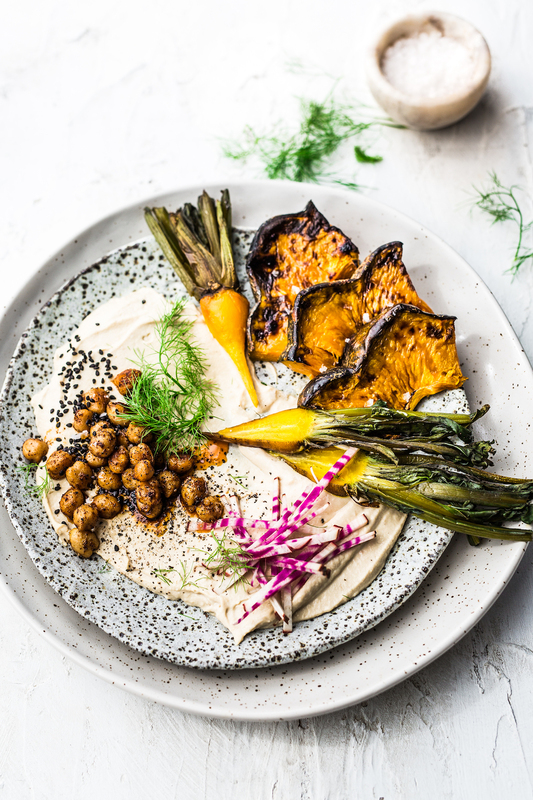 Meanwhile, make the hummus by combining the chickpeas, lemon juice, liquid smoke, tahini, crushed garlic and salt in a blender or food processor. Add 1/4 cup of the reserved liquid from the chickpeas. Add all ingredients to blender and slowly add the oil, blending until smooth. Finally, add the remaining chickpeas with a little olive oil into a hot pan, along with the chipotle spice. Fry over a high heat for 3-4 minutes until the chickpeas are golden. Tip the chickpeas and chipotle infused oil not the platter, and finish with beetroot matchsticks for crunch. 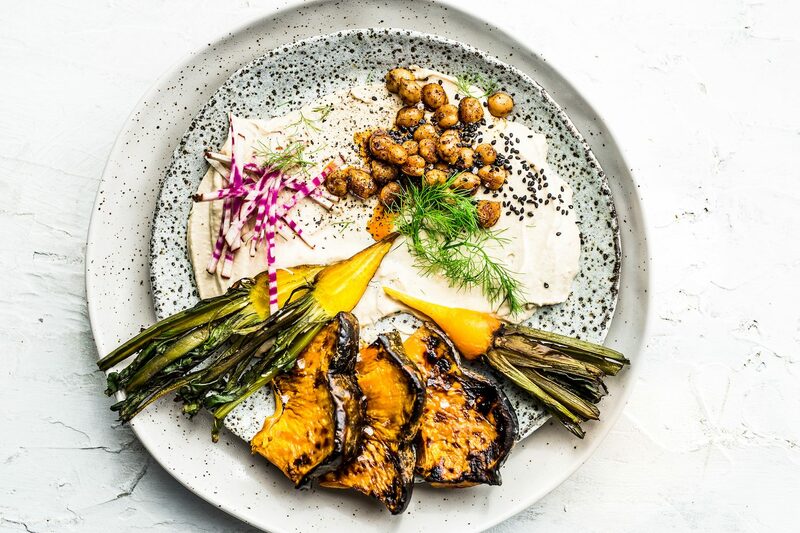 This vegetables smokey hummus looks so good, I like concept !! My thanks for doing such a good job. Yum! Love the addition of that smokey taste – Smoked paprika is a good alternative if you dont have the liquid smoke. Thanks loves! I love smoked paprika too!